This is best alternative of Raspberry Pi. Flashing is easy with Etcher and I had no issues on the ones I have looked at so far. 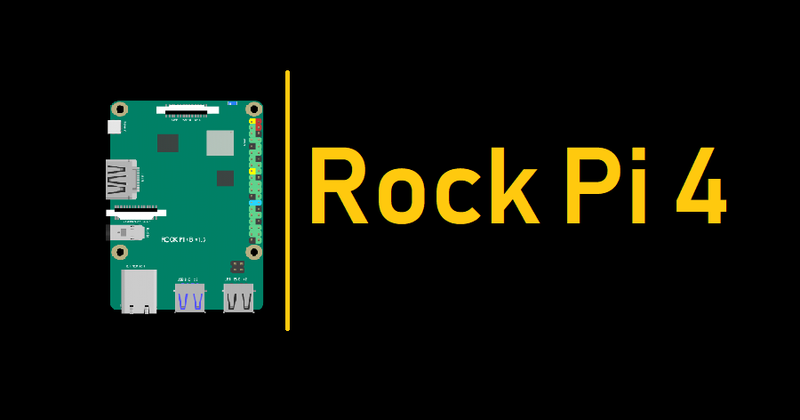 This page describe how to download and install the image on a microSD card and boot on ROCK Pi 4. You need at least the following. Etcher is the tool we use to write image. Download the right Etcher for your PC from Rockpi4/downloads page and install it. Check [Etcher website] for more info about Etcher. We will use it for the writing. Insert the uSD Card into uSD Card Reader, which connects to host computer. In the etcher window, we click button Select image. In the etcher window, we click button Select Drive. In the etcher window, we click button Flash. In the etcher window, it shows us Flash Complete! Done! Now you have successfully installed the OS image on microSD card. This page describe how to download and install the image on an eMMC module and boot on ROCK Pi 4. You need at least the following. an eMMC module, you can buy it from radxa distributor, the eMMC module from Odroid or PINE64 also works on ROCK Pi 4. 3.1 Plug and click the eMMC module to the eMMC to uSD breakout board, plug the breakout board to microSD card reader. Plug the card reader on PC. 3.3 In the etcher window, we click button Select image. 3.4 In the etcher window, we click button Select Drive. 3.5 In the etcher window, we click button Flash. 3.6 In the etcher window, it shows us Flash Complete! Done! Now you have successfully installed the OS image on eMMC module. Do you know how to boot from the M.2 SSD?